It’s no secret, as you age, metabolism tends to slow down. Why does this happen and how does is effect your body weight? Simply stated, metabolism is a complex physical and chemical process which occurs in a living cell or organism necessary to maintain life. This is the rate that your body burns calories in order to sustain bodily functions including digestion, sleep, recovery, physical activity and even breathing. Metabolism will differ from person to person and can be increased or slowed down due to food & water intake, exercise, body temperature, hormones and stress. To stay thin, strong and fit, even as we age, taking proper care of metabolism is vital. Weight loss is all about burning more calories than what you are consuming. Periods of inactivity, fast food and stress can all slow down the metabolism. Luckily, there are natural ways to increase it and reverse the damage. Many times we hear that to lose weight we must do cardio and eat less and little emphasis is put on resistance training. While this initially favors for the scale to decrease, it can have very negative long term results. It is important to realize that our body’s do not care what they look like on the outside. It has one priority and that is survival. It will do anything within its power to sustain your life. When we dramatically cut calories and add in just cardio our body will see it is in a deficit and will use 2 types of fuel sources to make up the difference; Muscle the body doesn’t see as necessary for survival will be stripped and fat will also be pulled. If you aren’t lifting to preserve muscle, it will atrophy. As our weight decreases because of the lowered nutrition and cardio our bodies metabolic rate will also decline because of the muscle that is shed. This effectively takes your current deficit and squeezes it smaller. Ultimately giving you diminishing returns on your caloric restriction and cardio time output. You also weigh a bit less, so your body will have less to move, again less calories burned for the same activity. You burn more calories per day when muscle increases. Aim for a few weight lifting or resistance training sessions mixed in with cardio or group fitness classes for best results. 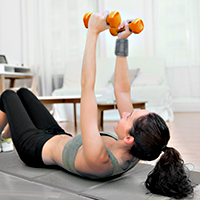 Protect your metabolism and lift weights. Lift as heavy as proper form will allow and constantly seek for more and more strength. 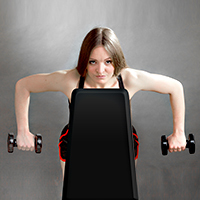 It is in our best interest to keep as much muscle as possible while trying to lose fat. According to Dr. Edward Group with Global Healing Center, “omega-3 fatty acids reduce the production of a hormone called leptin, a natural chemical that lowers your metabolism.” Animal studies done at the University of Wisconsin found that lab mice with low leptin levels produced faster metabolic rates than mice with higher levels of the hormone.” Examples of foods with high omega-3’s are fish, fish oils, nuts, seeds and flax seed. 3. Drink water and lots of it! Studies have shown water has the potential to increase fat burning while detoxifying the body and suppressing appetite. It is recommended to drink at least 8 glasses of 8 ounces of water a day and more when you engage in exercise. A dehydrated body cannot function as well. Water is also used to transport nutrients in the body and assist with muscle repair and growth. Not getting enough sleep is another way to slow down your metabolism. Think about it, if your body is fatigued, how do you expect it to work at its optimum? Understandably, an exhausted body will not be as efficient in burning calories so make sure you get plenty of good night’s rest. A well-rested you will be a lot more efficient. Aim for 7-9 hours per night. Nutrition accounts for most of our results when it comes to aesthetics. Have you ever heard the term, you can’t out train a bad diet? There is some truth to this! Avoid eating poorly and instead, maintain a healthy diet. Try to avoid high fatty and processed foods and reach for something healthy, organic, and as natural as possible. Food is what you need to fuel your workouts and maintain a healthy body and mind. Think of food as a tool to help you reach your goals. Muscle needs calories to grow. Restricting food long term may severely hamper your metabolism long term. Eat for your goals! So, what is all the hype about supplementing with BCAAs?! Well for starters, amino acids are the building blocks of protein and therefore, the building blocks of lean muscle. Branched Chain Amino Acids (BCAAs) refer to three specific amino acids – Leucine, Isoleucine and Valine – that the body must obtain from either food or BCAA supplementation. BCAAs can be used by muscle cells as an energy source, which may help offset muscle breakdown during endurance exercise and help support recovery and repair after weight training. As a result, BCAAs are a popular and relevant supplement among those who exercise regularly. Need a high quality Amino supplement? We’ve got you covered! Bailey’s now carries high quality amino supplements including AMINO X by BSN. AMINO X is a stimulant free, BCAA formula designed to support endurance during your workout and aid in muscle recovery post training, so you can push your performance to the next level. Featuring a 10 gram blend of BCAAs and the essential amino acids, L-Alanine, Taurine and L-Citrulline, AMINO X will help your body recover from today’s workout and prepare for tomorrow’s. Offered in five refreshing flavors, AMINO X provides you with versatile, nutritional support for any type of workout regimen. Need a mild energy supplement filled with BCAAS?! Another great product which also focuses on increasing energy and performance is ESSENTIAL AMIN.O. ENERGY By Optimum found at any of our Bailey’s locations. This product is great for anytime you want a fruit flavored or coffeehouse inspired boost of energy and alertness. You can determine what’s appropriate for any situation, adding a 2-scoop serving to water for an afternoon pick-me-up or increasing the amino acid matrix to 10 grams with a 4-scoop pre-workout drink that delivers 200 mg of caffeine from green coffee and green tea extracts.